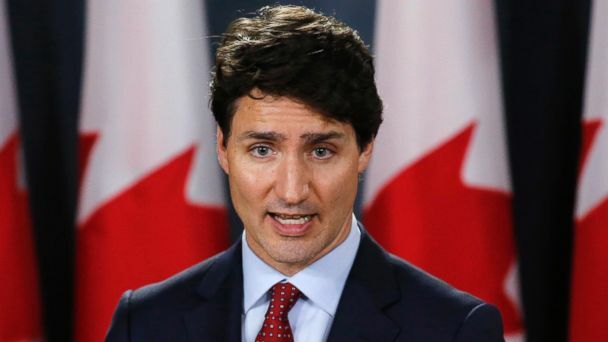 Canada, a nation of not quite 37 million people, wants to add more than 1 million immigrants through 2021. "Thanks in great part to the newcomers we have welcomed throughout our history, Canada has developed into the strong and vibrant country we all enjoy," Ahmed Hussen, minister of immigration, refugees and citizenship, wrote in an annual report to Parliament. "Immigrants and their descendants have made immeasurable contributions to Canada, and our future success depends on continuing to ensure they are welcomed and well-integrated." Hussen, now in his early 40s, fled to Canada from war-torn Somalia when he was 16. A year ago, Donald Trump, the president of the United States of America, said he didn't want the U.S. accepting immigrants from Haiti or countries in Africa or similar "s---hole countries." "My experience is not unique," Hussen told The New York Times in 2017. "Canada receives a lot of refugees every year." For Canada to add 1 million immigrants over the next three years, the nation would need to welcome approximately 350,000 -- roughly 1 percent of its current population -- in each of 2019, 2020 and 2021. "Canada is a world leader in managed migration with an immigration program based on non-discriminatory principles, where foreign nationals are assessed without regard to race, nationality, ethnic origin, colour, religion or gender," Hussen wrote in his report. About 1 in 5 current Canadians are immigrants, according to the report, with more than 6 million arriving since 1990. About 13.7 percent of the U.S. population, roughly 1 in 7, in 2017 was foreign born, according to U.S. Census estimates. In 2016, that figure was 13.5 percent.